The Internet held up in Egypt as the military deposed the country's president Wednesday, with both the former president's aides and the opposition using Twitter and Facebook extensively to communicate with followers in Egypt and the rest of the world. 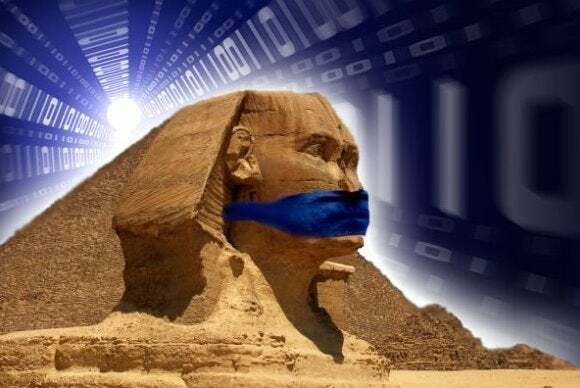 "Egypt remains online. So far no repeat of 2011," said Internet monitoring company Renesys in a Twitter message late Wednesday. It said it was continuing to monitor. In January 2011, the government of former president Hosni Mubarak ordered service providers to shut down all international connections to the Internet in the wake of widespread unrest in the country. This time, Egyptians on both sides used social media services using hashtags like #WeAreWithMorsi and #EgyptRevolutionNotMilitaryCoup, as the military cut off many TV channels and news sources, according to reports. Recognizing that its service would be important during the army takeover on Wednesday, Twitter decided to test a translation service from Arabic to English for Twitter messages for most-followed accounts in the country. The Twitter handle for the Egyptian presidency appeared to continue to be managed by ousted president Muhammad Morsi or his aides who were still posting messages. "Pres. Morsy urges civilians and military members to uphold the law & the Constitution not to accept that coup which turns Egypt backwards," it said in one message, while a subsequent message urged everyone to "adhere to peacefulness and avoid shedding blood of fellow countrymen." An aide of Morsi used the Facebook page of the "Office of the Assistant to President of Egypt on Foreign Relations" to convey to the people that what had happened in Egypt was in his view a military coup. "As I write these lines I am fully aware that these may be the last lines I get to post on this page," he said. "For the sake of Egypt and for historical accuracy, let's call what is happening by its real name: Military coup," he added. Blocked from state-owned media like television, and with many TV channels supporting Morsi's Muslim Brotherhood party shut down, the supporters of the former president appeared to have taken resort to social networks to get their message out. But others too in Egypt were active on social networks. "It's a people coup against the undemocratic elected president who was allied with terrorists like Hamas !," tweeted Amr Bakly from Cairo. User Haidy Anwar tweeted: "Dear NonEgyptians, U either talk about Egypt well (&by well i mean the greatest country of all) or shut up."